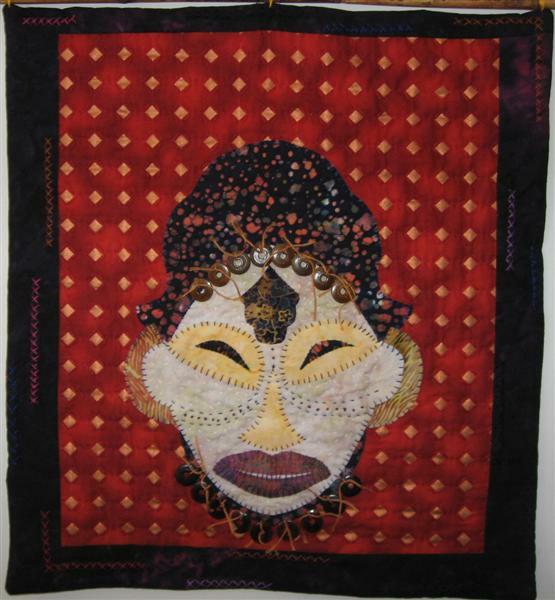 Mask Series 2 Interpreted in fabric.Appliqued, hand quilted and embellished. with wood beads, waxed thread, and buttons. Made in 2006.